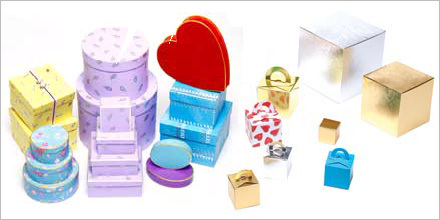 Paper Bags Wholesale offer printed paper bags at wholesale prices. 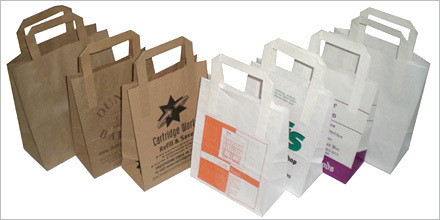 With many different styles available including paper bags with rope handles, twist handle paper bags, tape handled paper bags, paper shopping bags and environmentally friendly carrier bags, we are confident you will find the right bag within your budget. So if you are looking for a unique and creative paper bag company who are committed to understanding your brand and can find the right personalised bag for your campaign then your search is over. Paper Bags Wholesale offers a more personal service, so that from the moment you place an order, to its timely delivery, we will work with you to ensure that your campaign runs smoothly and is a success. All our quality bags can be branded for the purposes of retail, corporate gifts, staff incentives, marketing campaigns, product launches and events. To find the right promotional bag you can view our latest styles online, fill in the Need Ideas form or call our customer service team on 0845 582 0115. 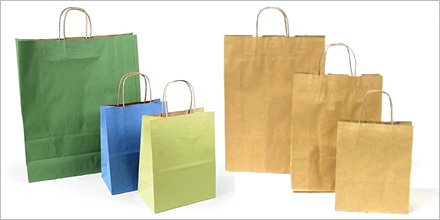 They will have extensive knowledge of different styles of paper bags available which work in different marketing situations, ideal for taking your company name and message direct to your target audience.